The infosec industry is booming, so it’s no surprise that new challenges and cyber threats will face IT departments for the years to come. With that in mind, what are the InfoSec trends we should all watch out for? We’re a proud Sponsor of InfoSec World 2018! 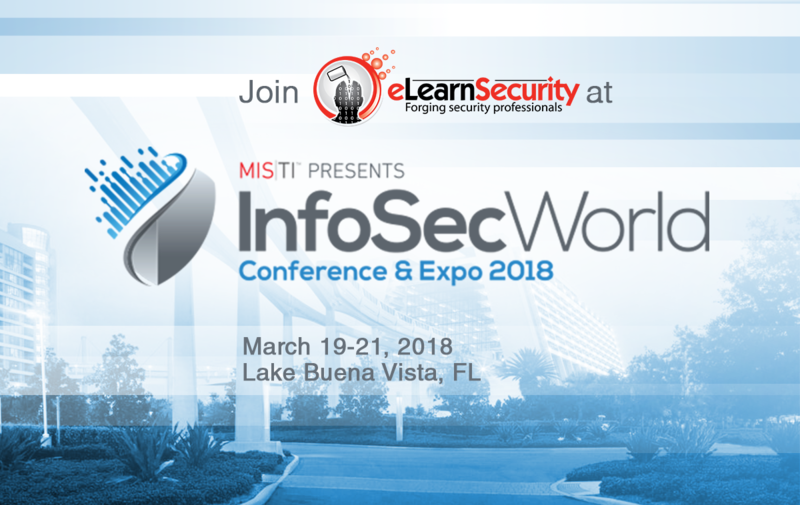 We’re traveling to Lake Buena Vista, Florida, for the InfoSec World 2018 conference at Disney’s Contemporary Resort! You can come say hi at Booth 207 where the eLearnSecurity team will be. So you’ve been breached. Gigabytes upon gigabytes of data are now in the hands of…well, someone. It could be the guy across the hall who just got fired; perhaps it was a competitor; or maybe it was just some hacker looking for a quick payday. If you thought Threat Hunting Professional was the final cap to our 2017, well you better ho ho hold up, because we’re not yet done! 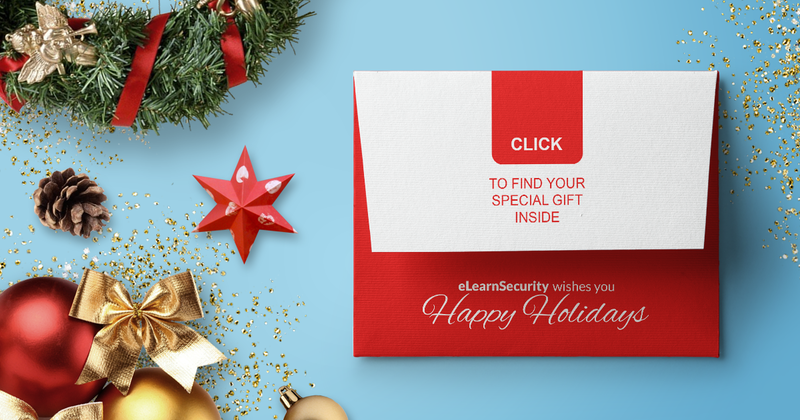 Kick start your merry-making with a Year-End Gift from eLearnSecurity: a $200 gift card, which you can use towards getting your next (or first) eLearnSecurity certification! Today, we’re proud to announce that the Caendra-eLearnSecurity family just got a whole lot bigger. Please join us in giving a warm welcome to Don Donzal, who is joining us to assume the role of Community Manager for eLearnSecurity.